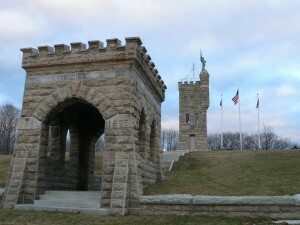 The Civil War monument in the Kensington section of Berlin, CT, is the oldest permanent Civil War monument in the United States. 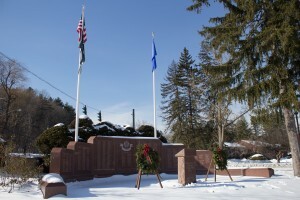 The Civil War monument in Unionville, CT, was dedicated in 1916. 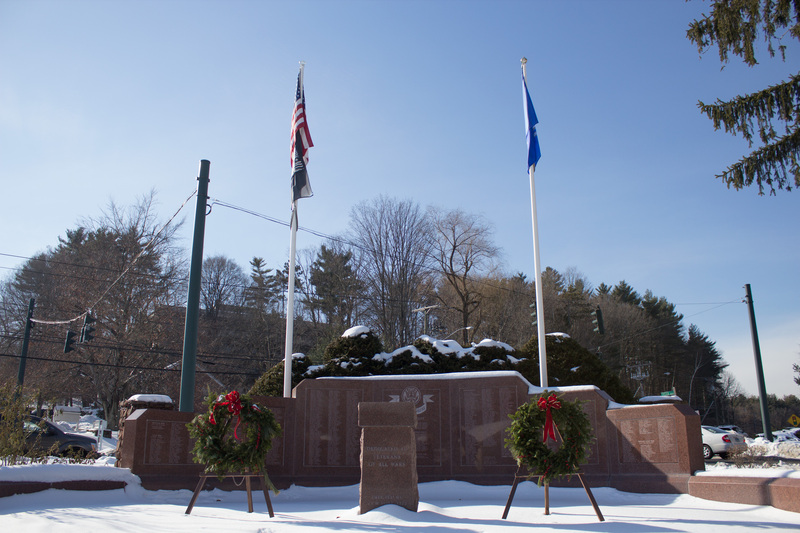 Mystic’s Civil War monument, at the intersection of East Main Street and Broadway Avenue, was dedicated in 1883. 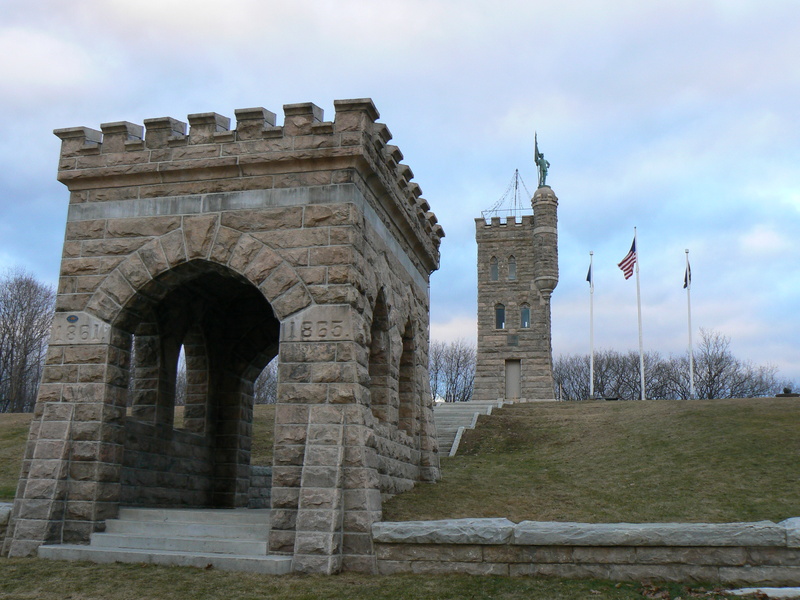 The Soldiers’ Monument in Ansonia’s Pine Grove Cemetery was dedicated in 1876 to honor local heroes killed in the Civil War. 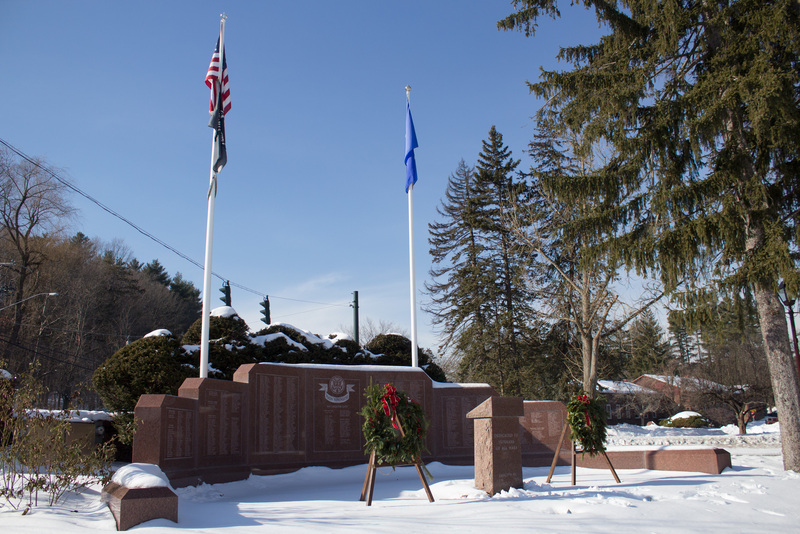 A red granite memorial with several panels honors Avon’s war heroes and veterans. 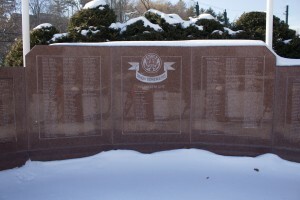 The central panel of the monument, at the intersection of West Main Street (Routes 44 and 202) and Ensign Drive, honors Avon residents who died during service in the country’s wars. 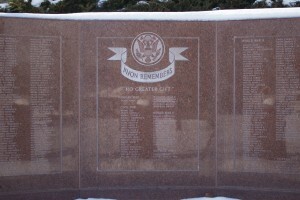 The panel lists one veteran who died during the Mexican War; 25 during the Civil War; 13 from World War II; and two from Vietnam. 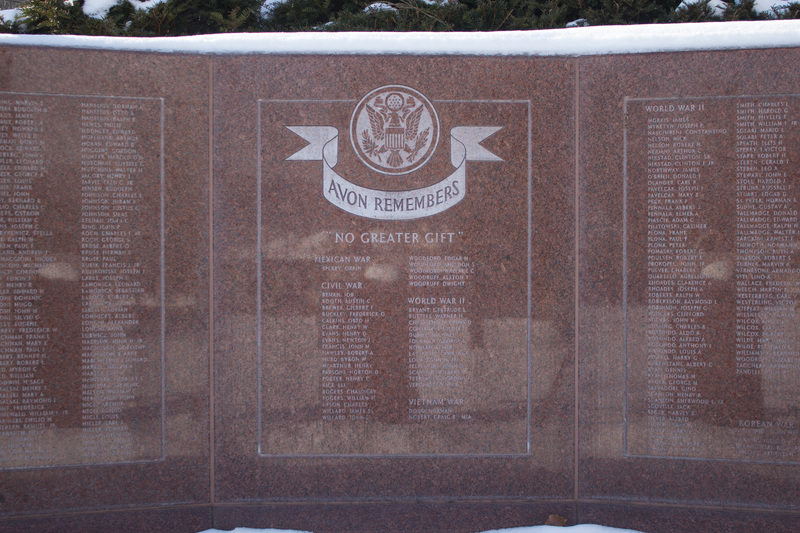 The memorial’s other six panels list veterans of the wars between the Mexican War and the first Persian Gulf War in the early 1990s. The monument also features a granite podium inscribed with “Dedicated to veterans of all wars,” the name of the local VFW post, and the monument’s dedication dates in 1986 and 1996. The CT Post reports planned renovations to the magnificent Winchester Soldiers Monument in Winsted are on hold because $100,000 in a dedicated fund appear to have been stolen by a former finance director accused of stealing at least $2 million from the town. 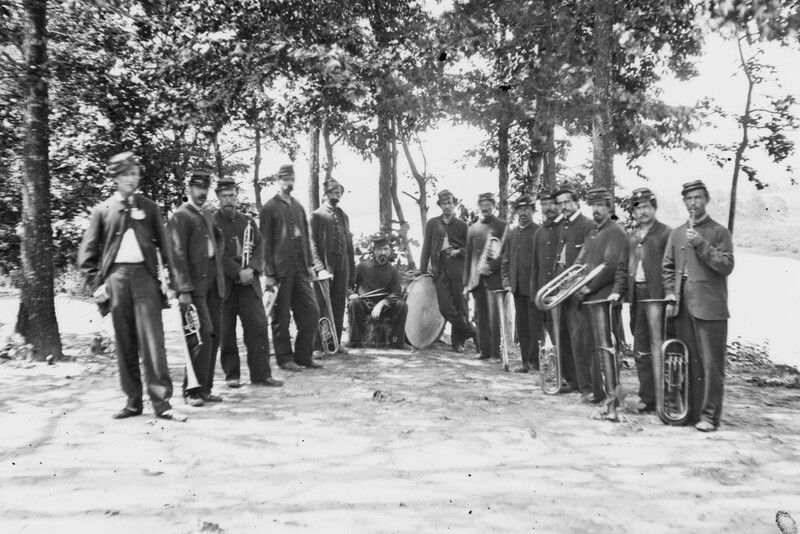 The First Connecticut Heavy Artillery band at Fort Darling, Drewry’s Bluff, Virginia, in April of 1965. The full-resolution image is available at the Library of Congress. The 29th Regiment, comprised primarily of African American volunteers, is pictured in Beaufort, South Carolina, in 1864. 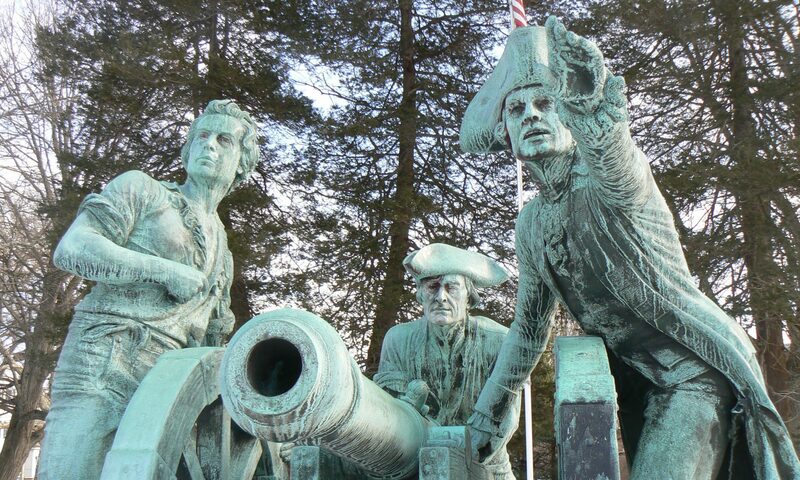 The regiment is also honored with monuments in New Haven and Danbury. 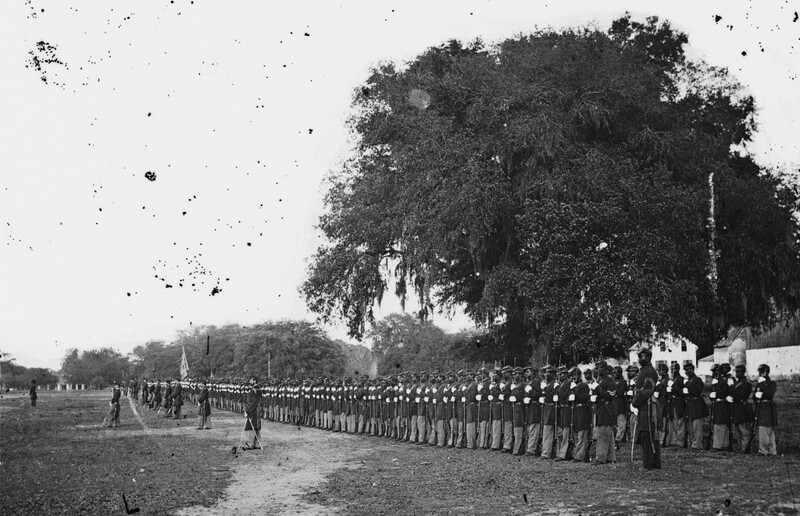 The original image is available at the Library of Congress.